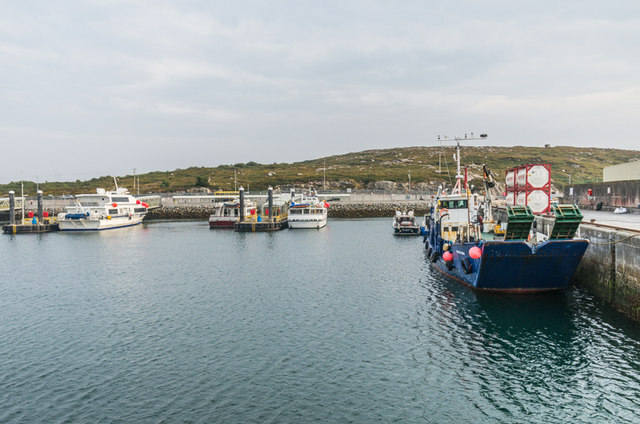 In the first stage of Island Ferries Teoranta v Minister for Communications, Cooke J held that harbour charges imposed on the plaintiff in Rossaveel Harbour (pictured above) in Galway Bay by the defendant were ultra vires, and that the detention of the plaintiff’s vessel, the MV Ceol na Farraige (the “music of the sea”), to seek to compel payment of the charges, was a trespass (see  IEHC 388 (18 October 2011)). In the second stage of the proceedings, Cooke J awarded the plaintiffs a total of €92,243 in compensatory damages (see  IEHC 256 (26 June 2012)). In yesterday’s post, I considered what a restitutionary claim at Irish law might have looked like had the case evolved slightly differently. In this post, in the context of the decision of the UK Supreme Court in the FII case (Test Claimants in the Franked Investment Income Group Litigation v Inland Revenue  2 WLR 1149,  UKSC 19 (23 May 2012)) and the decision of the Court of Justice of the European Union in the Littlewoods case (Case C-591/10 Littlewoods Retail Ltd v Her Majesty’s Commissioners for Revenue and Customs  ECR-I nyr,  EUECJ C-591/10 (19 July 2012)), I want to consider what that claim might have looked like had EU principles been added to the mix. There was an important EU law issue in the Island Ferries Teorenta case. In the first stage of the proceedings, Cooke J considered that, had the charge not been ultra vires the 1980 Act, the circumstances of the Minister’s imposition of the charge would have constituted an abuse of a dominant position contrary to section 5 of the Competition Act, 2002 (also here). In the second stage of the proceedings, Cooke J held that the assessment of damages under section 14 of the Competition Act, 2002 (also here) would have followed the same assessment of loss and the award of compensatory damages as he had already undertaken at common law. However, he held that any breach of the Competition Act would not have amounted to a breach of the equivalent EU provision (Article 102 TFEU) because there was no evidence of any effect, actual or potential, on inter-state trade (see, in particular, the judgment in the first stage of the proceedings, at para ). As a consequence, no question of a remedy for breach of EU law arose. Suppose, however, that an EU law claim had in fact arisen. EU law requires that conditions of domestic law applicable to claims to provide domestic remedies for claims arising as a matter of EU law must not be less favourable than claims based on infringement of national law having a similar purpose and cause of action (the principle of equivalence). Furthermore, EU law also requires that conditions of domestic law applicable to such claims must not be arranged in such a way as to make the exercise of rights conferred by the EU legal order impossible in practice or excessively difficult (the principle of effectiveness) (see, eg, Case C-446/04 Test Claimants in the FII Group Litigation v Commissioners of Inland Revenue  ECR I-11753,  EUECJ C-446/04 (12 December 2006) ). These principles are complementary and cumulative, and their application here would almost certainly have meant that the assessment of compensatory damages in the amount of €92,243 would have been sufficient. But suppose, in addition, (as was supposed in yesterday’s post) that the plaintiffs had in fact paid the €201,476.74 claimed by the Minister. The EU principles of effectiveness and equivalence could have had at least two impacts. First, they would have reinforced the conclusion, derived from Sempra Metals, that full restitution of the €201,476.74 required the return of that sum plus compound interest. Second, the recent decision of the UK Supreme Court in the FII case  2 WLR 1149,  UKSC 19 (23 May 2012) demonstrates that domestic limitations on the basic claim fall to be evaluated against EU law, and to be disapplied if they are found wanting. Like Sempra Metals v IRC  1 AC 561,  UKHL 34 (18 July 2007) considered in yesterday’s post, FII is another ACT case. Here, the CJEU had held that it is for the domestic legal systems of each member state to lay down the detailed procedural rules governing actions for safeguarding rights which individuals derive from Community law, and that the national courts and tribunals before which claims are brought are obliged to ensure that individuals should have an effective legal remedy enabling them to obtain reimbursement of the tax unlawfully levied by a member state. At UK law, the FII plaintiffs could have had restitution on the basis either of the principle in Woolwich Equitable Building Society v Inland Revenue Commissioners  AC 70 (HL) (pdf) principle or of a mistake claim of the kind affirmed in Deutsche Morgan Grenfell v IRC  1 AC 558,  UKHL 49 (25 October 2006) (DMG). However, the six year limitation period applicable to common law claims had passed (see section 5 of the Limitation Act, 1980; cp section 11(1)(b) of the Statute of Limitations, 1957 (also here)), barring the Woolwich claims. Nevertheless, section 32(1)(c) of the Limitation Act 1980 (cp section 72 of the Statute of Limitations, 1957 (also here)) provides that, in “an action for relief from the consequences of mistake”, the limitation period does not begin to run until the plaintiff has discovered the mistake or could with reasonable diligence have discovered it. In DMG, the plaintiffs successfully relied on this provision to postpone the running of the limitation period against their mistake claim, and the FII plaintiffs similarly sought to rely upon it. They argued that, in “an action for relief from the consequences of a mistake”, it is sufficient that the mistake contributed to the circumstances from which the relief is sought, so that, where there was, on the facts, both a mistake and a Woolwich claim, the Woolwich claim could take advantage of the limitation postponement in section 32(1)(c). However, the Supreme Court held that the mistake must be a necessary part of the cause of action upon which the plaintiff relies (approving Phillips-Higgins v Harper  1 QB 411; see also Moore v Moore  IEHC 462 (01 July 2010)). Consequently, the plaintiffs had to rely on their mistake claim, as had the plaintiffs in DMG. However, whilst that case had been working its way through the courts, the UK Parliament enacted two limitations on section 32(1)(c) upon which the Revenue sought to rely in the FII case: section 320 of the Finance Act 2004 provided that, with effect from 8 September 2003 (the date on which the provision was announced), the extended section 32(1)(c) limitation period would not apply to claims founded upon mistake for the recovery of overpaid taxes; and section 107 of the Finance Act 2007 similarly curtailed mistake claims commenced before 8 September 2003. Were it not for these two new sections, then, following DMG, the FII plaintiffs would have been able to rely on section 32(1)(c), so they argued that these two new sections fell foul of EU law. In general, EU law requires that where a domestic tax is contrary to EU law, domestic law must provide an adequate restitutionary remedy which fulfils the EU principles of effectiveness and equivalence (Case 199/82 Amministrazione delle Finanze dello Stato v SpA San Giorgio  ECR 3595,  EUECJ R-199/82 (9 November 1983)). Here, the FII plaintiffs argued that, since the case of action arose because of the incompatibility of ACT with EU law, section 320 of the Finance Act 2004 and section 107 of the Finance Act 2007 infringed the principles of effectiveness and equivalence, and thus could not could be applied to their claim to recover taxes mistakenly paid pursuant to a tax invalid at EU law. The Supreme Court unanimously held that section 107 infringed EU law principles of legal certainty and legitimate expectation that the plaintiffs would be able to rely on their DMG claim. A majority also held that both this section, and section 320, were not compatible with EU law because they infringed the principle of effectiveness. However, since the House was divided (5/2) on this issue, it could not be said to be acte clair, and a reference to the CJEU would be necessary. Finally, a minority would have held that section 320 also infringed EU law principles of legal certainty and legitimate expectation in much the same way as section 107 did. For what it’s worth, it seems to me that section 107 of the Finance Act 2007 would constitute an unconstitutional infringement of property rights as a matter of Irish law, having regard to In re Article 26 and the Health (Amendment) (No 2) Bill, 2004  1 IR 105,  IESC 7 (16 February 2005). Similarly, it seems to me that section 320 of the Finance Act 2004 would constitute an unconstitutional infringement of the separation of powers as a matter of Irish law, having regard to Buckley v AG  IR 67. The heart of the disagreement in the Supreme Court in the FII case relates to the plaintiffs’ claim to have sections 107 and 320 disapplied. The minority would have held that the availability in principle of the Woolwich claim was sufficient to meet the requirement of an effective domestic remedy. For them, the availability of additional claims, such as the extended mistake claim in DMG, would not engage EU law at all, and the issues around sections 107 and 320 would simply not arise (though that did not stop the minority discussing these sections and relevant domestic and EU law at great length). Rejecting this approach, the majority held that the principle of effectiveness required that the plaintiffs should be able to pursue any appropriate domestic remedy, and that as a matter of principle it was for them to decide whether to pursue either a Woolwich claim or a DMG claim. This must be right. In DMG, the House of Lords rejected the position taken by the Court of Appeal that plaintiffs seeking to recover overpaid taxes must rely only upon the Woolwich principle and could not rely upon mistake. The position advocated by the minority in FII is a more sophisticated and more limited version of the argument rejected by the House in DMG. But the main principle having been forcibly ejected by the front door, a variant should not be admitted entry by the back door. Indeed, the principle of equivalence reinforces this conclusion: given that both a Woolwich claim and a DMG mistake claim would be available to a plaintiff seeking restitution of taxes levied in breach of domestic law, both claims should also be available to a plaintiff seeking restitution of taxes levied in breach of EU law. Both the majority and the minority treated the issue as though there were only two possible claims here: Woolwich, and mistake à la DMG. In fact, as a matter of principle, many more could also be available on appropriate facts. First, the claim based on duress colore office which was successful in Mason v New South Wales (1959) 102 CLR 108,  HCA 5 (27 February 1959) and Murphy v AG  IR 241 (SC) has not been displaced by Woolwich, and would still be available in an appropriate case (see In re Article 26 and the Health (Amendment) (No 2) Bill, 2004  1 IR 105,  IESC 7 (16 February 2005)). In Woolwich, Lord Goff described the principle in that case in policy terms which have influence the subsequent cases, not least FII itself, but Lord Browne-Wilkinson took a different approach, holding that the consideration or basis upon which the tax had been paid fell away when the Revenue’s claim was held to be ultra vires. In O’Rourke v Revenue Commissioners  2 IR 1, Keane J treated both speeches as equally important to the understanding of Woolwich, and to the extent that Lord Browne-Wilkinson’s different approach properly states an alternative claim or claims based in failure of consideration, absence of consideration, or absence of basis, then these claims are alternatives to Lord Goff’s policy-based approach in Woolwich or the House of Lords’ approach to mistake in DMG. Third, many statutes provide mechanisms for the recovery of overpaid taxes – indeed, in FII itself, the Court had to consider the interoperation of one such mechanism with EU law – and these statutory provisions are also alternatives to the common law claims available in Woolwich and DMG. Fourth, in Canada, the Supreme Court is ploughing a different furrow (see Kingstreet Investments Ltd v New Brunswick  1 SCR 3, 2007 SCC 1 (CanLII) (11 January 2007) and Marcotte v Longueuil 2009 SCC 43,  3 SCR 65 (CanLII) (08 October 2009)); and whilst a Kingstreet claim may not be available in the UK Supreme Court, it could be entertained in the Irish courts. Since the Woolwich and DMG claims are also available at Irish law, a Kingstreet claim would constitute a further alternative. As the alternatives multiply, the minority’s position becomes ever more untenable, and the good sense of the majority’s position becomes ever clearer. Given this wide range of alternative claims, the principle of effectiveness allows plaintiffs to decide for themselves to to decide which claim to pursue. Suppose a case in which a plaintiff seeks to recover tax overpaid contrary to EU law on the basis of any or some or all of these alternative claims, other than Woolwich. The minority’s approach would have said that the plaintiffs’ claims must fail in limine. There is no good reason in principle for such an unattractive proposition. When the possible causes of action are seen to be numerous, an attempt to confine plaintiffs simply to Woolwich is as futile as Canute’s attempts to command the tide not to come in. Just as Canute demonstrated to his people that he could not curtail the tide by royal fiat, so does the majority position in FII demonstrate that it is infeasible to curtail by judicial fiat the causes of action available to plaintiffs who seek restitution of overpaid tax. In FII, the Woolwich claim was time-barred. No argument was raised that this bar was of itself incompatible with EU law. Had it been, it would inevitably have failed, as EU law recognises that reasonable and generally applicable domestic limitation periods are necessary in the interests of legal certainty (Case 45/76 Comet BV v Produktschap door Siergewassen  ECR 2043,  EUECJ R-45/76 (16 December 1976) -). On the other hand, by virtue of section 32(1)(c), the plaintiffs’ DMG mistake claims would not have been time-barred, had it not been for the operation of sections 107 and 320; so the plaintiffs argued that they infringed the EU principle of effectiveness by not providing for any transitional arrangements. That principle requires that, when a member state introduces a new limitation period which would have the effect of limiting existing domestic causes of action available to remedy claims arising by virtue of EU law, the new legislation must include transitional arrangements allowing an adequate period after the enactment of the legislation for lodging the claims for repayment which persons were entitled to submit under the original legislation (Case C-62/00 Marks & Spencer plc v Commissioners of Customs & Excise  ECR I-6325,  EUECJ C-62/00 (11 July 2002) ; on the history of the Marks & Spencer case, see my post here). Hence, the majority held that the failure to include any transitional arrangements in sections 107 and 320 impermissibly trenched upon the plaintiffs’ rights to restitution of overpaid taxes derived from EU law which domestic courts are bound to protect, thereby infringing the principle of effectiveness. For what it’s worth, it seems to me that, had there been appropriate transitional arrangements so that sections 107 and 320 could have fulfilled the requirements of the principle of effectiveness, they may still have fallen foul of the principle of equivalence. This principle requires that the rules regulating the right to recover taxes levied in breach of EU law must be no less favourable than those governing similar domestic actions. Sections 107 and 320 had amended section 32(1)(c) in a way that did not affect mistake claims in respect of payments other than tax, but did affect mistake claims in respect of tax payments of the kinds at issue in DMG and FII. Since ordinary domestic mistake claims extended by section 32(1)(c) are not subject to the special bar created by sections 107 and 320, it is difficult to see how the principle of equivalence is not infringed.
. … EU law must be interpreted as requiring that a taxable person who has overpaid VAT which was collected by the Member State contrary to the requirements of EU VAT legislation has a right to reimbursement of the tax collected in breach of EU law and to the payment of interest on the amount of the latter. It is for national law to determine, in compliance with the principles of effectiveness and equivalence, whether the principal sum must bear ‘simple interest’, ‘compound interest’ or another type of interest. Of course, it is clear that the principles of effectiveness and equivalence do not require that the most favourable domestic rules necessarily be available to vindicate the EU claim. But the decision in the FII case certainly suggests that UK law is leaning towards a maximalist approach to these kinds of issues. Indeed, in the light of the disapplication in particular of section 320 of the Finance Act 2004, it would not be at all surprising if it were held that section 78 of the Value Added Tax Act 1994 did not preclude a common law claim to compound interest based on Sempra principles. Nor would it be surprising if the various references in the FII case were met with similarly delphic responses from the CJEU. Though the analysis of the EU law issues in FII and Littlewoods is complex, the basic point of legal principle at issue is a simple one. If the cause of action for restitution from a public authority arose the reason for the invalidity of the payment arises as a matter of EU law, then EU law imposes some significant minimum standards on the the parameters of that cause of action. Hence, if there had been an EU law issue in Island Ferries Teorenta giving rise to a domestic restitution claim, then any limits on that claim would have had to meet the minimum standards set out in San Giorgio and FII. It will be interesting to see how these issues are clarified as the various sets of litigation currently working their way through the Courts in London and Luxembourg are resolved. Meantime, if we get appropriate weather, there is nothing, absolutely nothing, half so much worth doing as simply messing about in boats.